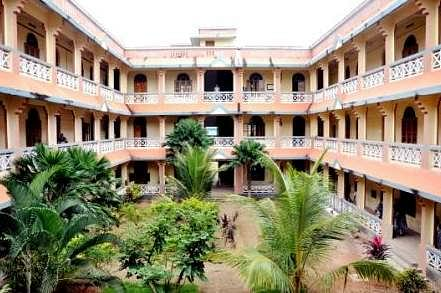 Mar Thoma College of Science and Technology, Kollam, Kerala, is an educational institute registered under the name of Mar Thoma Educational, Technical, Training and Research Centre which runs with a motive to develop the nation by means of quality education. The College offers Bachelors and Master degree programmes in science covering biotechnology, computer science, electronics, polymer chemistry, business administration, English literature and commerce. Why to Join Mar Thoma College of Science and Technology? 1. Equipped wit end to end Facilities- The college supports the learning process of the students through integrated learning process and for the same they have Hi-Tech classroom structures with Wi-Fi connectivity of 4 Mbps internet speed, Hostel Facilities, Modern day equipped laboratories, Healthy cafeteria and transportation facilities. 2. Presence of Reputed faculty- The faculty members at the institute are well versed in their areas of educational background and impart quality education to the students through research based and industry oriented learning sessions and modules. 3. Computer Centers- The college has a total number of 34 computer centers for various education disciplines and offers an interactive learning platform to students to apply their subject knowledge to latest technological softwares and equipments. 4. Large number of Committees- The College has been active in dealing with the student’s development issues and supports the education process through a well set-up internal system. In the same regard, the college has set-up committees such as student’s union committee, attendance committee, examination committee, student counseling and career guidance committee and grievance committee.